Located in Coxhoe, Co. Durham, Sonnet 43 Brew House have taken their modern brewing philosophy and strong brand identity and fused this with local culture and history. Sonnet 43 ‘How do I Love Thee?’ is the best-known work of poet Elizabeth Barrett Browning, who was born and raised in Coxhoe Hall. Sonnet 43 took her words and expressed it their way – craft beer. Using only the best ingredients with traditional brewing methods enables the Brew House to produce remarkable, high-quality cask beers that deliver a real taste experience to be savoured and enjoyed. 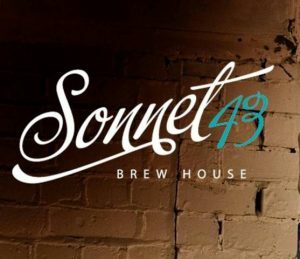 Sonnet 43 beers are sold at The Clarence Villa which adjoins the Brew House.